There are going to be a lot of financial decisions for you to make throughout your life. From taking out a loan to repaying debts, you’ll have a lot to sort out. Consider these important financial decisions you’ll have to make. And think about the best ways to approach them. If you're shrewd financially you will already understand the need to prepare for retirement. It doesn't matter how old you are; you need to think about planning for when you retire. The best thing to do is to come up with a retirement plan. So you’ll want to consider an SMSF setup and a team of experts to help you. There’s plenty you can do with your money to get ready for when you retire. But it’s not always obvious to you what the best course of action is. That’s why it helps to have professionals involved too. Many people, at some point in their lives, will at least entertain the notion of getting a credit card. Now, there are positives and negatives to this process. 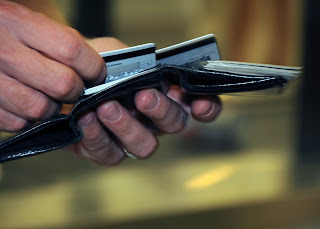 For one thing, you need to understand that credit cards can put you in quite a bit of debt. They are an easy way of spending money you don’t have. So you need to be wary of that. But on the other hand, credit cards can be a useful way of paying for things you wouldn’t be able to afford upfront. You can then make reasonable and realistic payments over a longer period. Hopefully, you will never find yourself in this situation. But a lot of people at some point in their lives will find themselves in dire straits financially. When you get to this situation, sometimes the only thing you can do is file for bankruptcy. This is where all your financial assets are liquidated, and you start again from scratch. It can be terrifying to even contemplate going bankrupt. And, yes, there will be ramifications. But sometimes this might be the best and only option. Make sure you find out what bankruptcy involves before going ahead with it. One of the biggest financial commitments you can take on in life is buying a home. It’s pretty scary at first because you’re dealing with enormous sums of money. And this can be a little overwhelming to begin with. What you need to do first is come up with a budget you can reasonably afford. This will determine the mortgage rate you’re able to apply for. Make sure you have plenty saved. And be sure you’re getting the best possible mortgage. You also need to get the house checked out thoroughly before buying it. This is a long-term investment that needs to last you years. So it’s important to get the best possible deal you can. As you get older, you will take on more responsibilities. And you’ll have a lot of important financial decisions to make. As you can see, the ones on here are the most essential. They are all things you may encounter in your life. So you need to take steps to prepare for dealing with them. The better understanding you have of your finances now, the more you’ll benefit later on.